Book your transfer with American Coach Limousine on our Private Airport Transfer service today! At American Coach Limousine our Private Airport Transfer service is available for transfers between Chicago O'Hare Airport, Chicago Midway Airport, and 506 locations across United States. The Private Airport Transfer service aboard American Coach Limousine is an express on-demand door-to-door transfer service. Your vehicle will be travelling exclusively for you and your group, directly without stops or delays, to your destination. Your transfer time will be best suited to match your specific requirements and the driver will pick you up and drop you off whenever it suits you. Our Private Airport Transfer service is available 24 hours a day 7 days a week and can be booked up to 24 hours ahead of travel. At American Coach Limousine we offer fixed transfer fares starting from $58.68 USD total one-way and with enough seat capacity for up to 6 passengers. Your final fare with us includes luggage allowance for 1 carry-on bag and 1 check-in bag per passenger. Also included in all our fares are airport parking fees, any tolls along the route and your drivers waiting time. 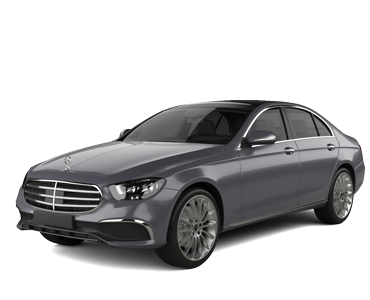 American Coach Limousine is a transport company based in United States and we have been a professional transport supplier on Jayride since February 2018. Choose American Coach Limousine for your airport transfers to and from O’Hare airport, even on busy nights. If you are fretting about getting to the Midway airport on time, book an American Coach limo. We have state of the art flight tracking software that allows us to adjust our pickup time according to your flight, and be there on time, even if your flight is early or delayed. We offer great rates and fixed airport transfer fees all around Chicago. Enjoy the luxury of the car and the convenience of the airport transfer limo service in Chicago – at great rates! With transparent pricing, you can rest assured that rides with the American Coach Limousine won’t put a dent in your wallet. Book a car service today and forget about the traffic jams, rushing to the airport or parking. Driver was very professional and courteous. Best way to travel. Would definitely do it again and recommend it to others.